After announcing its completion some time around the release of 2007's Curtis, 50 Cent returns to working closely with Dr. Dre and Eminem producing as he did on Get Rich Or Die Tryin', his first official album. 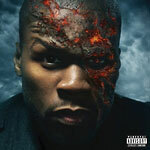 Before I Self Destruct is darker and harder (at least by Fiddy's already established mainstream standards) than 2007's Curtis, as shown by the lead single ''OK, You're Right'' released earlier in 2009. Also featuring production by Havoc, as well as Eminem guest appearing, plus Ne-Yo and R. Kelley. Comes with a DVD movie of the same name and is also 50 Cent's directorial debut.